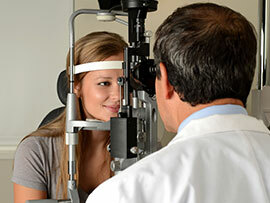 The first visit is always a little longer because we have to perform a general first review of your eyes. It is at least 45 minutes or 1 hour in the clinic. Pupillary function and ocular motility. 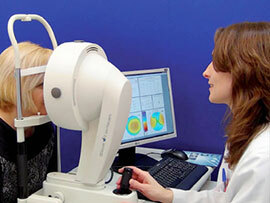 Rating of eyelids and appendages, tear function. Examination under slit lamp of the anterior segment of the eye. Exploration of the posterior pole of the eye: optic nerve and macula. 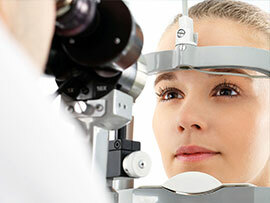 What you should know for a first refractive and presbyopia surgery visit? The decision of refractive surgery is an important step for our lives and we want things to go very well from the beginning. It is therefore very important that we advise you well in your particular case of what is the best technique available to you and what we can expect from it. 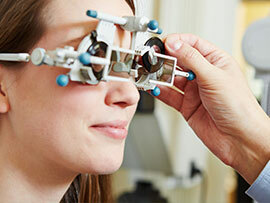 To do this, the first refractive surgery visit is a little longer than a normal review and involves a series of additional tests to find out the specific characteristics of your eyes. If you wear contact lenses, it is a good idea to go at least one week without using them before going to the appointment. To determine your refraction (your diopters), we need to dilate your pupils and this means that after the visit, your vision will be fuzzy especially close up and light will be bothersome. It’s good to come with someone or to not drive. It is necessary to not have anything important to do after the visit. The effect of the drops passes in a few hours, but some people may notice it for 24 hours. The total time of the visit is about 1 hour. Note: You can also come to a first visit where we will personally guide you in your case and come back another day for the dilation of your pupil.